The pecan is the Texas state tree and can be grown in all areas of that state. Found naturally along river bottoms, the trees enjoy moist, rich soils. Pecans do not grow true from seed, so Texas gardeners need to purchase a container or bare-root sapling. Since Texas has such a diverse climate, encompassing hardiness zones 6a to 9b, growers must plant only pecan trees that do well in their region. Desirable pecan trees perform well in the humid weather of south and east Texas and the drier central Texas air. However, it's a slow producer and takes eight years to bear 15 lbs. of pecans. While not a heavy bearing tree even when mature, Desirable bears consistently high-quality nuts more frequently than other types of pecan trees. Gardeners with little time for maintenance should choose Western pecan trees, which bear fruit at seven to eight years of age. Since the tree is susceptible to scab disease, it should only be grown in west Texas. The tree needs little pruning, training or management to bear good pecans. Caddo pecan trees grow well in all areas of Texas, bearing nuts in only five to six years. The trees are highly productive and scab-resistant. 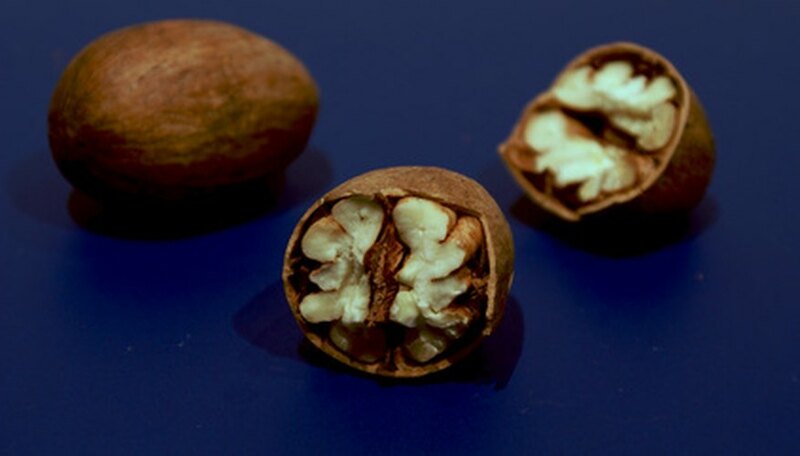 While they produce smaller nuts than other pecan trees, the nuts have good flavor. While Wichita trees grow in all of Texas, they are highly recommended for west and central Texas. They are the most productive pecan tree in Texas. In north Texas, Wichita trees freeze, and in south Texas, they contract scab. The tree needs regular pruning to bear a good crop and begins bearing five to seven years after planting. Recommended for the northern and Panhandle regions of Texas, Shoshoni bears nuts in five to six years. As the tree matures, it bears a crop only every other year. However, the nuts ripen early so will not experience frost damage that commonly affects other pecan trees planted in northern Texas. Cape Fear pecan trees perform well in east and south Texas. They are easy to train and scab-resistant, although they may develop leaf scorch. The trees produce lots of nuts, but they aren't high quality. Cape Fear trees begin bearing fruit at five to seven years.